The Bay of Quinte region is a tourist destination that draws thousands of visitors every year from Canada, the United States and around the world. 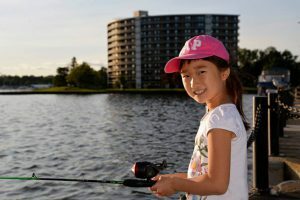 Many consider the Bay of Quinte region one of the best places in the world for fishing, golf and spending a day at the beach. We are part of the Great Waterway and also have several wineries, unique restaurants and other tourist attractions including museums, galleries and theatres. There are hundreds of family friendly events throughout the region to keep locals and tourists busy throughout the year. The Bay of Quinte region is within a day’s drive of major metropolitan centres including Toronto , Montreal, Ottawa, Boston, New York, Washington, Philadelphia and more. More than 140 million people live within 1,000 kilometers of the Bay of Quinte. As residents of the Quinte region, we have access to so many outstanding amenities, services and events year round.